Shojo-Manhwa Scans: Back Up-loader Needed!!! I'm sure most of you know about Megaupload being shut down, I'm worried about Mediafire now, we don't have a back up if mediafire goes down,so I need someone to upload all our releases on hotfile or any other place you think is safe. This is a bit of an annoying job, so plz only apply if you're up to it. 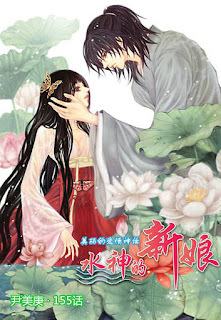 P.S Does anyone know where we can buy volume 16 of Bride of the Water God? you can use 4shared. if not just use dropbox! thought it might help though i don't intend to apply as a loader. Duchess, been checking into all of these not sure what the best one is???? Anybody out there have any opions on these file sites???? i don't like uploaded.to cos it's hard to download files from their site. the rest i'm not sure. Yes Kuo En is right, their' whole countdown is a bit annoying, but what i want to know is how much does dropbox cost, cuz i don't want to blow all our funds on it. I think I can upload to an image-hosting site like Picasa. Each project will have its own album & will be downloadable + act as an Online Reader. Is there anywhere you want me to post these links? I have been downloading every harlequin release, because here in spain is going to be difficult to download in the near future, and i dont mind uploading them buy i have not downloaded bride anything not harlequin releated (TFidelFHell) is my nick in the forum and thefidelfromhell arroba hotmail dot com is my email. Hi why don't you try google sites... it's really safe and very good for archiving. It also allows you to control those accessing your files. I think 4shared is a good choice. i'm willing to help by creating an account and upload your work. i have some free time to do that so let me know if you are interested by that file sharing site. and i think nothing is realy safe the better thing to do is to have multiple mirrors. http://www.hanbooks.com/brofwagod2se.html <- This site is in English, but you will probably have to wait a while for them to sell vol. 16. Their volumes are all in Korean, but they are an English-friendly website. Sent a list with several hosting servers to smscans(at)gmail.com. Did you know that AdscendMedia will pay you an average of $500 per 1,000 file downloads?